Please Join Us in Congratulating Homecoming Family Restaurant As March's Logan County Chamber Business & Entrepreneur of the Month. The Homecoming Family Restaurant is located at 1330 N. Main Street, Bellefontaine where entrepreneur Donald Barnett built The Red Lantern. In the 1970's, Donald Barnett moved his restaurant to another location and the building was purchased by Don and Carol James who opened the Homecoming Restaurant. The building underwent major renovations in the 1980's adding a new kitchen and dining rooms. In 2001, the James' were looking to lease their restaurant and caught the eye of Jack Davis (who has since retired) and Ron Sidle who were both long-time employees of the Empire Family Restaurants. They were currently operating Motor Inn Family Restaurant, on Route 33 and Route 127 between Columbus and Fort Wayne, and were looking to build a second restaurant and believed that Bellefontaine would be a good spot. When they became aware that the James' were looking to lease the Homecoming Restaurant, they decided to lease instead of build and changed the name to Homecoming Family Restaurant, in order to stress their family atmosphere. In 2002, they hired Christine Ricketts to serve as their General Manager running the day-to-day operations. Teresa Rumer and Lisa James, two of the original employees, are still an integral part of the kitchen operations. The Homecoming Family Restaurant's Gift Shop is located in the original Red Lantern building and features many items from local businesses. When browsing, you will find items like Hall's Country Kettle Corn, and a wide variety of gourmet caramel apples and pretzels from The Sweet Life Kitchen. The Homecoming is a family style restaurant, open seven days a week. They serve an all you can eat breakfast buffet that is available on the weekends along with a lunch time soup and salad bar during the week. One interesting fact about the restaurant is that they have served meals to Earle Bruce, the Ohio State Football Coach, and Hugh Downs, a television personality. Their marketing strategy centers around what they have learned about their customers. "We have learned that our customers come to restaurant for good comfort food. New menu items only work if they are consistent with that vision, and our staff reminds us of that!" The Homecoming Family Restaurant was recently recognized by the state for their partnership with the RTC Employment Services. 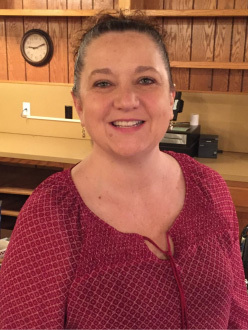 Homecoming manager, Christine Ricketts, has had a number of employees through that partnership, and is excited to help people learn new job skills. They believe that their Chamber membership benefits them by keeping them connected to the local community. We thank Homecoming Family Restaurant for their 16 years of loyal service to Logan County and for their 16 years of Chamber membership.